Fear. Although it is not normally considered as a hallmark emotion that represents humanity, in the stuttering moments of an introduction, the dozens of daily questions left unasked, and whispered corners of our classrooms, fear inextricably binds us all together. Due to an unhealthily self-destructive nature and an innate inability to keep anything organized, the path I took to become an educator may not have always been linear; however, for the past 10 years I have worked in the classroom with the last 4 of these serving as a 9th grade English teacher. In this time, the most prominent emotion that I have seen derail both students and teachers alike is fear. Those of us who work with students almost certainly know the stereotypical young boy or girl who enters high school for the first time and feels overwhelmed by the expectations, independence, or just the overall enormity of their not so distant future being thrust into focus for the first time. For many of us, this stereotype was an all too familiar reality. In today’s data driven world of high stakes testing and constant pressure to perform, the fear of failure is no longer left to loom over the households of high expectations, but can be found in every hallway and homeroom across America as more and more teachers and administrations rely on successful student tests score for their salaries and school funding. Throughout my last few years as an English teacher, I have seen these fears consume even the most capable students. They become unsure of themselves, question their own abilities, and become detached from classwork and assignments because without a “passing” score on the state test, does any of it really matter? Take the ever mounting pressures placed on modern day high school students, mix in the constant barrage of dangerous decisions they must make in order to navigate the minefield that is their personal and social life, send it home to what may be a foundation of instability and you are left with a chaos that teachers devote their lives to in order to make the smallest of connects. 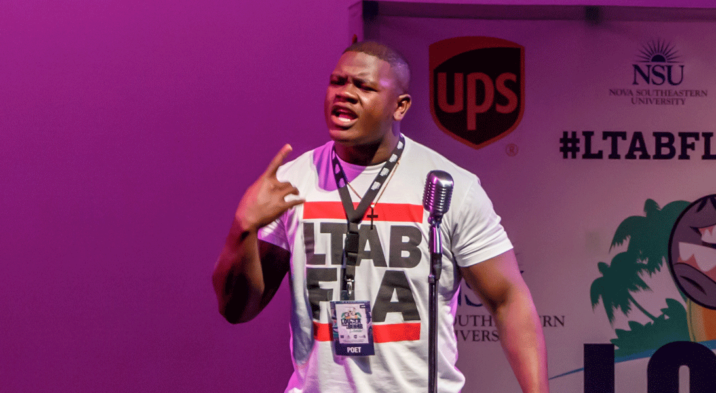 Enter the power of spoken word poetry. 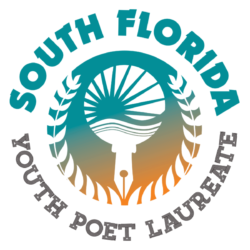 Although I spent many of my college years attending open mics and later traveling up to two hours to compete in the nearest poetry slam, it was not until I began teaching at Fort Pierce Central High School that I realized how powerful a genre that is continuously overlooked by both textbooks and standardized tests can be when teaching young minds. 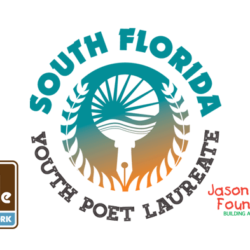 When I first began teaching at Central, I was lucky enough to receive an invitation to work with the creative writing club and help them prepare for their upcoming participation in the Louder Than a Bomb Florida spoken word competition that is put on by the Jason Taylor Foundation through its Omari Hardwick bluapple Poetry Network. The team was entering their second year of competition and run by two amazing teachers Ms. Kelly Addams and Mrs. Simone Mcphee. Acting on my own fears and tentative nature, I spent most of these meetings on the sidelines and often sat simply in awe of the amazing handful of young minds, who week after week poured their hearts and souls out on a classroom floor that probably witnessed a quarter of the inspiration and passion despite the 100+ students who attended class in the same space that very day. I witnessed the ease in which my co-workers interacted with the poets. Despite the material often revolving around deeply personal and often tragic events, each students was so willing, even eager, to open up and often receive constructive criticism from not only the coaches, but all members of the team. Quite honestly, I was jealous and quietly promised myself that these moments would occur in my own classroom. During those weekly meetings, we all became acutely aware of the power of poetry. Never once did a poet worry about the judgment of others; instead, they each chose to challenge one another to become masters of the word and spit their truth. There, in that comfortable space, void of expectation or assessment I watched students devour their fears and scream in the face of anxiety. For three minutes on a microphone they were free and unafraid. 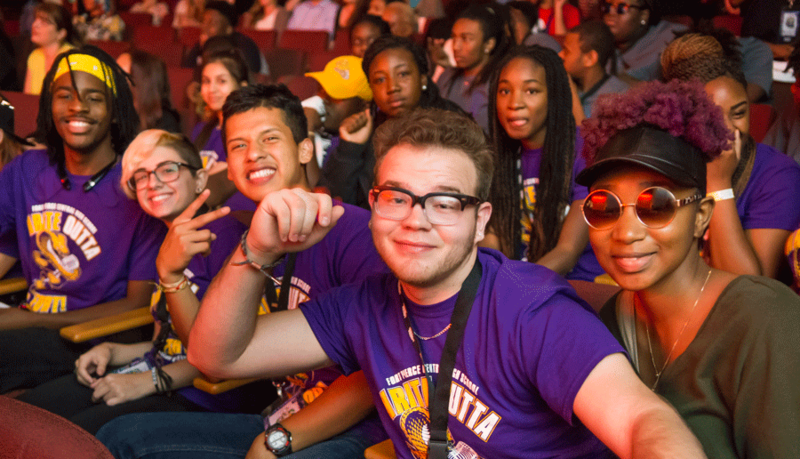 From that moment on, I was immediately hooked and have been lucky enough to work alongside Mrs. McPhee as a co-coach for the Louder Than a Bomb competition over the last two years. 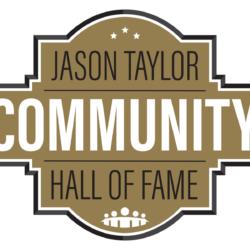 In that time, I have had the opportunity work more closely with members of the Jason Taylor Foundation and bluapple Poetry Network. This relationship has given me the opportunity to attend conferences and learn that the foundation’s purpose reaches far past holding a yearly competition. All of the members have a driving passion to bring all forms of poetry not only onto the stage, but into the classroom. As I mentioned before, it is not only the students who find themselves restricted by fear, but teachers as well. With all of the focus on standards, common curriculum and test scores, teachers cannot be blamed for being fearful of teaching outside of the box. Too often we are forced to give data and evidence that connects any outside material with the state standards. This can be a daunting and difficult task. Again, enter spoken word and the bluapple Poetry Network. 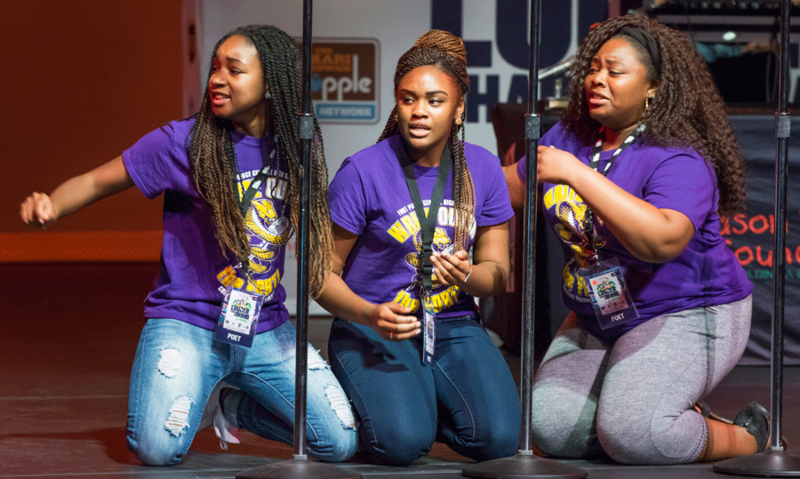 Due to their mission to spread the power of poetry into all classrooms, the people at bluapple have created a comprehensive curriculum that not only gives teachers access to interesting creative and analytical activities, but also links to both classic “page poetry” and more modern spoken word pieces. Best of all, each activity is directly linked to the state standards. To even the most experienced teachers, opening up a class to poetry writing activities can be a scary proposition because left on their own, students can either shut down or even delve so deep the teacher is unprepared. Having specific examples of multiple poetry styles and guided activities can help create an environment where the students feel both productive and safe. By creating this curriculum, bluapple has given teachers a weapon against fear and a tool to help the entire classroom connect as a community. As I look back at my 3 year journey coaching and teaching spoken word in the classroom, fear and freedom are by far the two most poignant ideals that stand out. For in reality, can anyone gripped by fear ever truly be free? In three years I have watched girls not only grow into young women, but become fierce warriors for justice. I have been reminded how it felt to fear a spanking; Been transported to the tops of roofs and over borders; Learned that our signature can haunt us; Borrowed courage from a young man who confronted cancer because I could not; Even listened to a whisper on the breeze, a trickling tear turn into a deafening and thunderous flood. All of this because for 3 minutes on a microphone spoken word empowered each poet to throw off their fear, speak their truth, and give us all the opportunity to be free.